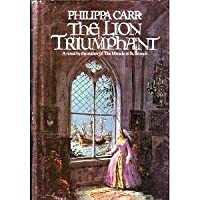 Against the backdrop of Elizabethan England is spun this engrossing story of the stormy loves and dangerous adventures of beautiful Catharine, called Cat. When fiery-tempered Cat meets arrogant, lusty Captain Jake Pennlyon, she is both attracted and infuriated by him. But Jake is determined to marry her and blackmails her into agreeing to a betrothal. Soon after she is kidnapped by a band of Spanish pirates and delivered into the hands of Don Felipe, Governor of the Canary Islands. Cat is certain she has seen the last of Jake Pennlyon, but she finds herself the help-less victim of Don Felipe's revenge against him. Cat is not one to give up. Not ever.